It’s your chance to take chances, travel, try out business and hustles, get something you like doing, that’s how you’ll discover what you truly want to do with your life. 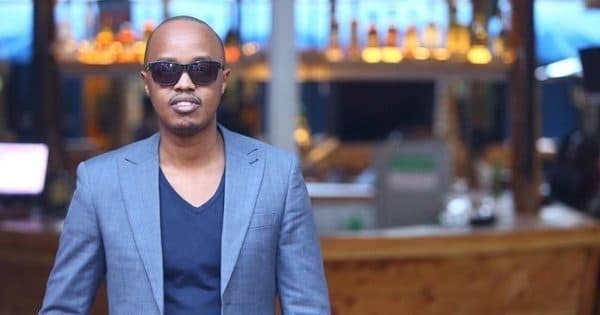 The established deejay has built a name for himself as one of Kenya’s premier deejays. With industry experience spanning over 10 years, DJ Protege grew his love from music, beginning as a rookie in Moi University. For him, there’s nothing as exciting as getting your first paycheck from your first job/hustle and it is important to cultivate the right spending habits in your 20s. The new feeling of independence and possibilities is euphoric and really that’s what drives us. It’s easy to get carried away or get trapped in some financial traps. “I’d like to share some financial tips I have learned along the way that many young people should know when getting out of school,” DJ Protégé. Be proud in your work/hustle: First, you don’t have to work in a white-collar job to make it in life, unfortunately, many generation Ys & early millennials realized this late. I’ve met several trolley boys in the CBD who earn between 1,500 to 2,000 per day ferrying luggage from point A to B. They average 30k to 40k per month on one hustle. This is much better than some entry-level jobs in the corporate world which will still require you to remit P.A.Y.E. In my first hustle I used to sell bananas from Kisii, travelling overnight to buy them at around 250 to 350 bob a bunch, load them up in a bus at 50bob per bunch in transport cost, transport all of them to Marikiti at 300 per mkokoteni load, pay the middleman 50bob per bunch and sell each between 500 to 700 bob. By 10 am I’d be back in bed with 5-10k in my pocket, wake up the next day and do it all again. Start saving immediately: It’s common sense to save for your future but it’s easy to postpone this in your early 20s. Don’t! Just like tithe, commit 10% to it and drop that into a fixed deposit account in your preferred bank or Sacco which brings me to my next point. Open an account with a Sacco: Saccos provide the best saving opportunities and loan facilities when you’re starting out. Deposit your savings in this account and earn up to 10% interest in your savings. In addition, Saccos offer the best loan facilities, get up to 3 times your savings in loans at a 14% interest rate. What’s more, this interest rate does not fluctuate, unlike banks. Take advantage of the power of compound interest, save 5k a month for 20years, that’s 3.9M clean! No Work, no sweat, no get rich quick gimmicks, just save! Turn 40 with a heavy nest egg! Live within your means: This should be obvious but somehow, we get caught in the trapping of easy access to money, especially mobile money loans. Avoid them at all cost otherwise, you’ll find yourself living from paycheck to paycheck. There’s no shame living in an SQ or sharing an apartment. If your books are in the green at the end you have no one to impress but yourself. Investing: So you have your cash stacked up a bit and you’re thinking of ways to invest it? Why not, that’s the whole purpose of saving, isn’t it. Well, it pays to be prudent when investing. Insurance and NHIF: It’s easy to suffer from a superhero complex when in your early 20’s, but this is the time you’re susceptible to 20-year-old stupid mistakes like accidents. Many employers provide cover but if you find yourself, without it pays to sacrifice to get one. Get yourself an inpatient cover, it will be more affordable than a comprehensive one but will serve its purpose if needed. If you cannot afford one, start off with an NHIF cover, employers cover this cost but for the self-employed, it only costs 500/- per month. Your time = Money: Start equating your time to money or potential to money, this will open up your thinking and avoid wasting it on useless or unnecessary things. You will stop doing things for free, its ok to take lower pays but if someone needs your services, chances are they are willing to pay for it. This includes advice for anyone not in your circle of friends. Someone asking you to a cup of coffee to run an idea through you? You’re being used. I see this with a lot with my lawyer friends. Finally, don’t be a spectator: Your 20s allow you to take risks, you’re yet to get tied down by the commitments of raising a family, paying rent, school fees. It’s your chance to take chances, travel, try out business and hustles, get something you like doing, that’s how you’ll discover what you truly want to do with your life. Don’t pay attention to what the naysayers say, as long as it makes sense to you, you’ll be fine. I hope this helps you make the right choice during this time. What money management tips can you share that can help others in their 20s? Thanks for the updates on the money lessons, unfortunately I am at 50+ anniversary trying to make my time to be equals to money but things are not adding up.